Now in its 50th year, the Folk Music Society of Huntington presents two monthly concert series, a monthly folk jam and sing-along, and an annual folk festival in conjunction with the Huntington Arts Council. Acknowledged as the musical conscience of society, folk music has preserved — in its variety of forms — the joys, struggles and sorrows of people worldwide. In the late 1960s, a small group of Long Island residents dedicated to the preservation of folk music founded the Folk Music Society of Huntington. Incorporated as a nonprofit organization in 1970, its membership now numbers in the hundreds, while more than 1,500 people are on its email distribution list. FMSH cultivates new talent in both modern singer-songwriters and performers of traditional songs, while providing opportunities for all lovers of acoustic music to find their favorites. It’s a cheap date, too – concerts can be less than the cost of two drinks at a bar (a bit more for the better-known touring performers, of course), with refreshments available at very reasonable prices. First Saturday Concerts: Nationally and internationally-known touring artists are featured during the FMSH’s First Saturday Concerts Series. Although concert tickets are generally available for purchase at the door, you can now also use your credit card to securely buy tickets in advance for our First Saturday Concerts series using PayPal. Hard Luck Café: Since the 1960s, coffeehouses have served as smaller forums to see and hear local and regional artists. The Hard Luck Cafe, begun in 1992, strives to do the same by presenting local, regional and up-and-coming national touring artists in an intimate atmosphere. Held on the third Thursday of the month, from September through June, in the Sky Room at Huntington’s Cinema Arts Centre, the Hard Luck Cafe usually features a split bill with two artists/groups. Refreshments – including beer and wine – are available for purchase. Open Mics: The perpetuation and preservation of folk music is not limited to “professional” artists. Folk music is the music of the people, and that includes all of us. To give the people a voice, an open mic precedes most of the First Saturday Concerts and the Hard Luck Cafe series. All participants must pay the regular admission fee. Parties: One of the Folk Music Society of Huntington’s oldest traditions, and one that helps foster a spirit of community among its members, has been the house parties held at various members’ homes after each First Saturday concert. Attendees are asked to bring a beverage or snack to share as they join others in spirited song and conversation. Folk Jams: To afford local amateur musicians and singers of all experience levels an opportunity to play, sing and hone their skills with others, the organization sponsors a series of monthly folk jams. These are held one Sunday afternoon a month at the South Huntington Public Library and are open to all. Attendees are asked to bring their instruments and/or voices, along with a snack or non-alcoholic beverage to share. 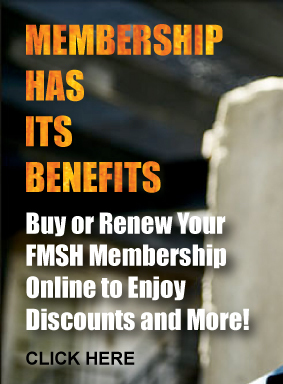 Membership brings such benefits as advance notice of all concerts, an open invitation to parties following the First Saturday concerts, a sense of belonging to the folk community and of supporting an organization that’s helping to keep the music alive and, very importantly, discounted member-pricing at all events presented by the FMSH. This translates to a 20-30% discount on general-admission ticket prices. You can join the Folk Music Society of Huntington or renew your membership online, via the mail, or at any of our events. Board of Directors: The Folk Music Society of Huntington is an all-volunteer, nonprofit organization governed by a board of directors. Current board members include: Michael Kornfeld (president), Karen Finkenberg (co-vice president and artist liaison), Lee Ann Rush (co-vice president), Gary Schoenberger (secretary), Susan Rothberg (treasurer), Lou Malfi, Stuart Markus, Sybil Moser, Keith Simmons and Dave Shore. Online Presence: In addition to this website, the Folk Music Society of Huntington has a presence on Facebook and LinkedIn. You are invited to “like” FMSH on Facebook, and “like” and share our posts via Facebook, Twitter and other social media channels. Affiliations: The Folk Music Society of Huntington is proud to be an active member of Folk Alliance International, the Huntington Arts Council and the Northeast Regional Folk Alliance (NERFA).